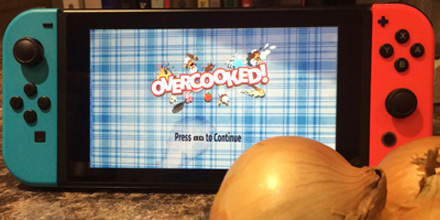 When we brought Overcooked: Special Edition to Nintendo Switch this July, we were delighted to see how much the Nintendo community embraced our brand of chaotic co-op cookery. We’re thrilled to have seen Nintendo Switch owners all over the world playing on their TV screens, in handheld mode and even using tabletop mode to play together on the go. But we understand that some players have also experienced a handful of performance issues that we did not detect during development. We’ve been actively working on addressing these issues ever since and we’re now very happy to announce that the first of two planned patches is live! Now that Patch 1 is complete and live, we are busy finalising Patch 2, which will introduce even more improvements to performance. Please keep an eye out for it in the near future! We’re confident that these fixes result in a much-improved playing experience on Nintendo Switch and hope you agree too. If you have any comments at all regarding Overcooked: Special Edition then please let us know at the official Overcooked Facebook page or Twitter account where we’ll be sure to see them. Thanks for reading and happy over-cooking! Aven Colony – Content Drop 1 Has Arrived On Steam!